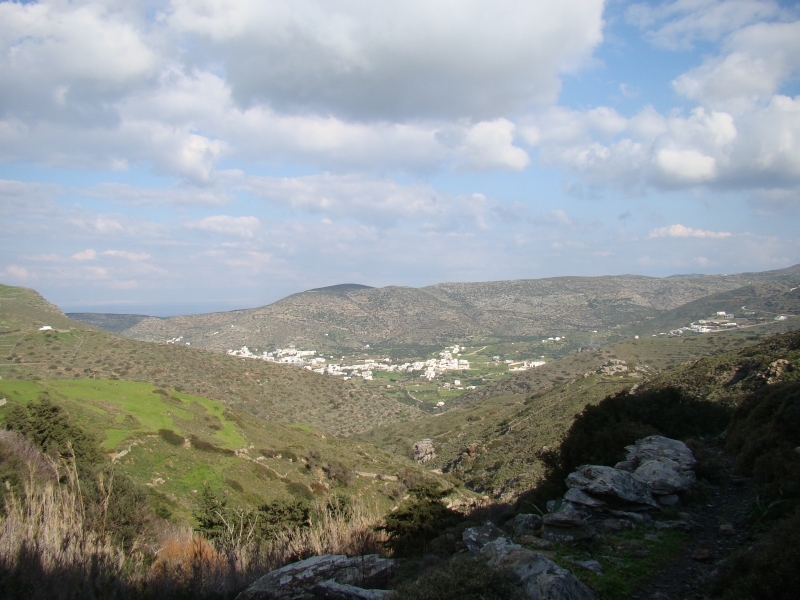 From the monastery of Valsamitis it is possible to walk to the ancient city of Minoa or down to the port of Katapola. There are wonderful views as you descend following the gorge down to the sea. The cache is not far from the junction in the path heading to the two destinations. 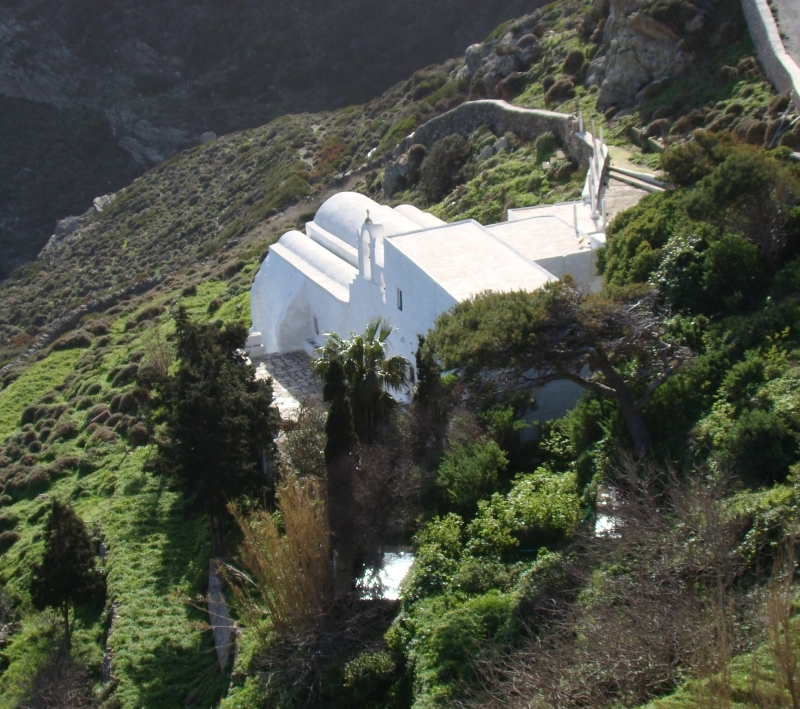 The Post Byzantine monastery of Agios Valsamitis was built on the site of an earlier church dating from the 9th century AD. The foundation myth surrounding this location is that lepers from a pirate ship, whilst escaping from Chora, came upon a spring with mint growing nearby. They settled there and after a while their leprosy disappeared. News of this spread. Reinforced by an icon of Saint George being found amongst the mint a church was built there dedicated to Saint George. Romantic stories aside, the spring was in pre-Christian times famous for its healing and prophetic properties and the site of a sanctuary. Having fallen into ruin it was rebuilt in 1688 and again in 1796. The sacred water runs into a bowl within the church and the priests would read a person’s destiny by examining a glass of water using unwritten rules passed verbally. From Valsamitis a path runs to the ancient city of Minoa. The cache is in a plastic drink container with a turquoise top. It just contains a log and a geocaching declaration in Greek and in English. Please take a pen with you.